How are you guys getting the 1x3 to work in MLV app? Keeps coming in at 1.0x for width stretch and .33x for height stretch (yes, 1.4). Where are you guys getting this newer version of MLV app? Surely most people here aren't building and compiling it themselves? Get source code and compile. It is so easy! pshhh... Yeah right-what the hell is QTCreator? How do I use MinGW?? I hate windows as it, now I have to open up Visual studio? I'm exhausted already. QtCreator is a Development Suite which installs more or less automatically, MinGW inclusive. No need for Visual Studio, that won't work. If you hate windows you can also do that on Linux or OSX. This process is 99.9% identical. But if you don't like to use the latest revision, you also can force resize output resolution (export settings) and stretch your 1x3 file in this way. The result will be the same. Need testing for corrupted images, or lack from them. 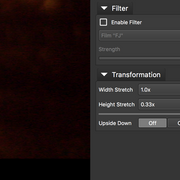 If you still get corrupted frames in 1x3 binning mode 2.35:1 setting try 'framing' preset in RAW video instead of Auto. I also uploaded a new 16 january build. Might work better. used those settings - see my post #1595 in this thread. testing Danne's Jan16 build, focusing on the 2,5k preset. either. 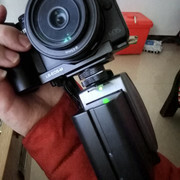 Also there is a haze of vertical greenisch lines in the croped display on the eos-m. this will not appear in the recording. this jan16 build seems to be more stable, in terms of corrupted frames and videos. with the 95MB Sandisk 128GB I can record continuously with sound @ 20Frames/sec. Anyway, Thank You Danne, keep up the good work. The green haze comes of roundtrips when lowering bitrate. It's either that or a darkened liveview. Yes, true when HalfShutter is set in clear overlays real-time setting will not work as before. Using Halfshutter set is to have a steady preview avoiding eosm to get stuck in real-time when going in and out of framing/real-time. Will have to think about it some more. If this build is working without corruption with 1x3 binning it would be very nice. Yes, true when HalfShutter is set in clear overlays real-time setting will not work as before. hi Thank Danne for this info ! After power up the cam next time, it turns back to --> ML Menu / Display / Clear overlays HalfShutter. Will Do more testing with the 1x3mode later. Yes, HalfShutter is set via the enable sd_uhs hack lua script if you use that together with the 1x3 binning mode. Once set you will have to manually change settings upon restart. * resulting in some sort of flicker. * We'll take care of our own updates with settings_sem. Thanks again Danne. 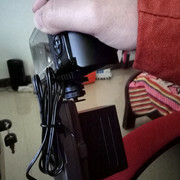 Will check the new 1x3 mode asap. Can someone help me here- so I complied the MLV app on my mac, but still same issue. 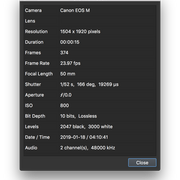 When I shoot with the '1x3 1736x2150' crop mode, and my resolution set to 1504x1920, my file is still opening in MLV with Width stretch at 1.0x and height stretch at 0.33x. I can't change width stretch to 3.0x because 2.0x is the max in the pulldown menu. I want to export my footage out as CinemaDNG. Compiling the MLV app still shows ver 1.4, should the newer commits show a different version? @briwil: all is correct and as it shall be. Just export and you'll see. Info panel shows always the resolution of your clip. Your clip should look right in the viewer, doesn't it? What the viewer shows and MLVApp exports (by standard) is always upsampled for v1.4+. Ahh, got it! Confusing as hell, but got it. Does anyone have a recommended setting/resolution for least jello with best resolution? The 4k resolutions are giving me serious shutter roll if I move even the slightest. Did some 1x3 recording testing on the Jan17 build, and so far it seems promising. - Most of the clips came out without corruption. - Sometimes gives a "frame order error" when recording. 12bit is better and very close to 14bit in quality. 10bit will work most of the time imo. Thanks Upstep for tests. Those are my exact observations also. I did some tweaks further very late yesterday. If you or others could run this build and it's not worse or maybe better I will say I keep this version. There is no visible difference between lossless and uncompressed. Test, compare, read and you'll see why. Regarding bad frames. The cpu runs much heavier when framing is running. Realtime view not so very much. I guess if one stays longer in real time modes chances for less bad frames are bigger. Also. It is possible that the sd_uhs overclocking procedure is causing trouble. I never had a corrupted frame when not using overclocking with 1x3 binning modes. What can I say. It's bleeding edge. Are there any instruction for new builds？ i was got some troulble with the setting menu. thanks for all you guys doing and testing with eosm. I did some tweaks further very late yesterday. If you or others could run this build and it's not worse or maybe better I will say I keep this version. I am not sure if it is because of much light outside today, but in 20sec I got 5 corrupted frames with latest build. So it seems not to be better than the build before for me. just tested Danne's new Jan18's build with 1x3 preset. no single corrupted frame. recording continuous, the longest clip ca. 45sec. looks promising, will test also the HD and 2,5k presets later. Great! Been testing timing registers all day. The last three uploads seems to work really well. Also make sure you tested the latest. They are all named the same today . I tested the 1x3 mode in dual iso with the 14jan build (reliably corrupted frames), then the 16jan build and had no corrupted frames but had to be quite underexposed for it to be continuous. On ML's histogram I have to leave between two and three columns (EV?) on the right empty. About dual iso processing in MLV App, is there a sure fire way to bring the shadows back, like say +1 exposure or +X shadows, or you just play it by eye? Also, sometimes I do get some kind of flickering in the shadow/midtones, exactly like @loknar has in some shots of his windy winter day vid (great footage btw, shame youtube compresses the hell out of it. Maybe uploading in 4k...?). I've tried recent builds,I think the most usable mode is mv1080p 23.976fps raw on 1736*976(16：9) 14bit lossless.Need to use sd overclocking.Post processing:mlv app,convert to cinema dng,drag and drop to premiere pro cc 2017,my complaints are the noises and hot pixels,mostly moire pattens. 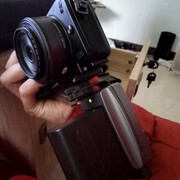 Other modes seem to have all kinds of issues which make them purely experimental not practically usable as a proper video camera.Looking forward to have more usable mode,thank you. just tested again my footage from yesterday and realized I made a mistake - have to turn off the "drop frame mode" in -> MLV App/Display. unfortunately out of nine clips, in three of them, one frame is corrupted. will do further testing later. many Thanks to Danne and others!